The use of aromatic essence is known to date back as far as ancient Egyptian times. Scented bark and resins were used in medicine, religion and embalming. It wasn’t until the beginning of the century that a gentleman called Dr Rene-Maurice Gattefosse created the name “aromatherapy” whilst studying the powers and properties of essential oils. 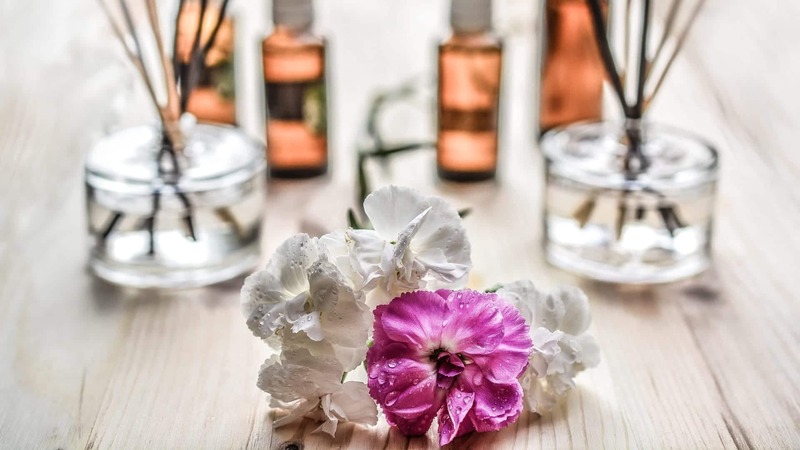 Aromatherapy massage uses fragrant essential oils from a range of plants, flowers and herbs to relax, revitalise or re-balance your entire being. The oils are easily absorbed into the skin and directly into the blood stream. They also contain complex chemicals that have the power to affect the part of the brain that is responsible for memories and emotions, known as the limbic system, through our sense of smell. Aromatherapy can be used in the bath, inhaled or massaged into the skin. Aromatherapy can help with a wide range of physiological and physical ailments. This treatment is particularly useful in treating anxiety disorders, skin infections, insomnia, everyday aches and pains and hormonal imbalances. Aromatherapy massage acts therapeutically in treating a number of minor ailments, relaxing both mind and body. Our therapist will choose oils suitable to meet your needs and individual preference, whether it is uplifting or rejuvenating and relaxing. Massage increases blood flow through the skin and adds the absorption by creating heat. Although the oils are applied externally they penetrate to the body’s organs via skin and nose. Different oils provide different outcomes, for example, many have anti-inflammatory, immune booting, antiviral and pain killing properties. Whist others uplift and enliven, tranquilise and calm. Certain oils can help with circuitry problems and also detoxify the system. Aromatherapy can be effective alongside other holistic treatments for example, reflexology and acupuncture. It will awaken your senses and incorporated into your daily routine can enhance your quality of life. Combined, they can be effective treatment for those in rehab or detoxing from drugs or an alcohol addiction.